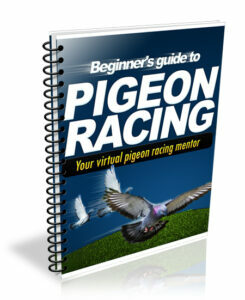 These three words in the title of this article are often misinterpreted when we come to applying them to our sport of pigeon racing. Too often have I read articles by learned people likening the preparation of our pigeons to that of runners, cyclists and even boxers? Strange to say they never seem to include long distance swimmers in their comparisons. 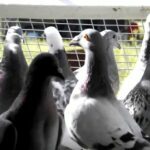 The purpose of this article is to try and make clear that what is good for the goose is not always good for the gander, and certainly in pigeon racing I have found this to be a fact, although not undisputed. 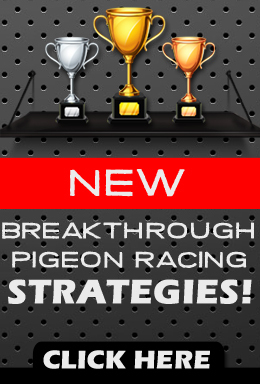 In two particular countries, one in Europe and one on the continent, the concentration of pigeon racing has been changed to the faster shorter races. This inevitably happens when a sport becomes commercialized, and money becomes the deciding factor. This has changed the weekly preparation of some fanciers to that of carbo loading over the last few days of build up to the race. The usual comparison being that this is how runners and cyclists get their extra bursts of energy. Extra creatine is also another form of carbo loading or energy boosting. ENERGY can be drawn in short bursts as in carbo loading but is quickly depleted, if this sort of energy is boosted at the neglect of proteins and fats, then when this small storage of easily obtained conversions of energy reserves are depleted, and the liver has to switch over to the main tank or source of supply, the breast muscle is soon reduced to a wasted piece of flesh, resulting in an exhausted and emaciated athlete that may never be able to function at peak performance ever again. Why does it work with long distance runners and cyclists and not with long distance swimmers and pigeons you may ask? The reason is simple; as the shallow reserves of carbo loading are depleted there are always stations along the way where they can top up their reserves. The swimmer cannot do this and neither can our racing pigeons. Invariably loading with creatine is good for short bursts of energy, but if the need of sustained energy is prolonged the pigeon becomes dehydrated and muscle cramps become the order of the day, so creatine is also out for racing pigeons in my book. Vitality is a genetic requisite within our pigeons, Energy and Stamina are dependant on what we feed and when, with an addition of some physical characteristics to enhance the stamina. It is important to understand how energy is obtained from fats, protein and carbohydrates, and for what lengths of period each can remain a source of regular supply. If one concentrates on Carbo loading at the neglect of build up feeds for stamina, every time our birds hit a hard race for which carbo loading will not suffice, the chances are that you have reduced your racing team to a bunch of mediocre contestants. Some may argue with this point, but I have seen enough visible proof to leave me in no doubt that this is the main reason that some do not make it home. The problem often is not seen in the first race a pigeon is subjected to this treatment, because of its previous build up of the right essential foods. However continued practice of these methods soon catches up with us and our pigeons, and we will not maintain a vigorously sustained healthy body. Boxers are often subjected to the same treatment as our pigeons, in their case because of struggling to meet the required weight in their division. The fats and proteins in the steaks/meat are kept off them and carbo loading with plenty exercise is the order of the day. The boxer responds to this treatment and makes the weight, gets in the ring and comes out of the corner bouncing with carbo type energy. Unfortunately if he is not skilled enough to cause an early KO, he starts to deteriorate rapidly. It can be easily perceived by the observation that he no longer punches his own weight, he loses his legs and becomes flat footed, even the brain becomes sluggish because he has no longer in possession of energy recourses to feed the brain let alone the ability to draw on to complete his task. He must either go to a higher weight division or end up a punch drunk has been. Easy access energy as in carbo loading is quickly burned off long before our birds in most cases as completed much of the journey ahead. The neglect or understanding of preparation of our pigeons is often portrayed in many ways. I live directly on the line of flight for many federations and Unions, and if the race turns out to be a head wind I have many visitors that could not make it home. 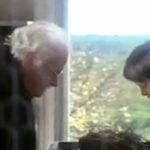 On close examination of these birds, there are some which are just worthless material owned by none descript fanciers. However the amount of quality birds with all the assets of a racer, that give themselves up because they were prepared incorrectly for the race is amazing. Many fanciers hear about carbo loading and are convinced such practices will make them famous or better than they are. I can tell you the amount of birds that arrive here, emaciated and denuded of all breast muscle, is clear evidence that the handler does not deserve to be regarded as an intelligent fancier. There are fanciers that know what they are doing, but they are a small minority, and it is sad that such fanciers ever heard about carbo loading. I hope if we are going to subject our pigeons to this type of preparation we understand the consequences if we get it wrong. It takes an intelligent person to know what and when to feed, for different types of racing conditions. I deplore the writers who throw all the fancy terminology such as Amino Acids, and energy rich substances, that they advise one to use, instead of using the principals which made the racing pigeon the icon it has become throughout the world. I believe in a well balanced build up that will give the pigeon all the reserves it may need, to carbo load a racing pigeon at the expense of long distance racing essentials, is in the main a stupid and fruitless operation, grossly misunderstood by fanciers on the whole. There will always be experimentation to find a method to improve performance, but carbo loading has never been proven in the scientific sense the way it is practiced by many fanciers. The fact being they are just blindly following the word of some one else. If ones pigeons have begun to win since carbo loading, there is another reason for this and certainly not the preparation. We all have good years and some not so well, but to apportion the credit to carbo loading can be a grave misjudgment of what is best for our pigeons. I have not given you a method of preparation and feeding here, they have already been explained in other articles written by me. We ourselves can also increase our performance for a short time and end up on the scrap heap before we ever get to realize what life is about. As with carbo loading my advice is don’t do it, you may be sorry you ever started. The limits and reserves of our pigeons were established many years ago with the foods available, only enhancing drugs will improve a tried and tested method, and I say again at what cost? Carbohydrates there must be in the diet, but only in proportion to a well balanced diet with the fats, proteins and vitamins incorporated to sustain ENERGY, VITALITY, and STAMINA.